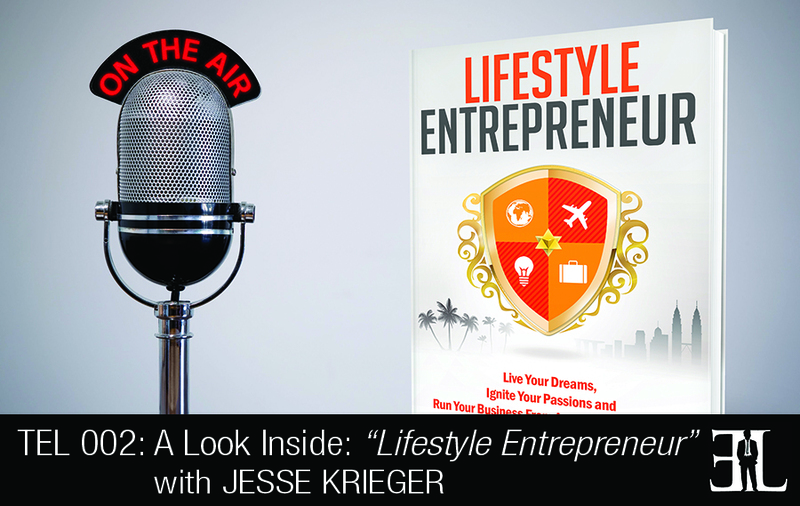 In this episode Wade meets with Jesse Krieger, author of Lifestyle Entrepreneur. If you are an entrepreneur that that believes in the motto “passion before profit” or are at a battle between the style of entrepreneur that describes you then “Lifestyle Entrepreneur” is for you. I’ve founded or co-founded over 5 companies, helped dozens of Entrepreneurs start businesses and so I bring a firsthand perspective from being “in the trenches” at any given time working on the starting and the launch or growth of 2 or 3 business. So I’d like to think that I know what I’m talking about and I’m speaking from experience. It’s a collection of firsthand account stories of being in different lifestyle context mixed with how-tos and frame works that readers can use to put into practice in their own life and businesses. The one thing I would want a reader to take away from this book is that you can go from not believing that this is possible for your life to firmly, fully believing that you have agency to create the lifestyle that you want to build a business based on your interests and passions. If there is just one thing that you can take away is that this is possible, it’s been done, that this is both my life and many of my closest friends’ lifestyles. So opening a door into a new way of business and proving it’s possible. I take you right into being in the middle of a book tour in Malaysia and literally hiking in the jungles of Borneo one day and then speaking on stages in front of 100 people the next day. It starts with a sweeping overview of how I see the world changing today, specifically with the ability to hire and manage teams from anywhere in the world and the ability to work anywhere in the world with a laptop and internet connection. By the time you are a third of the way through the book, the reader should have a lot more clarity on not only what’s possible but what’s the ideal case for them. It allows specificity for the reading without telling people what they should do, rather giving the opportunity for the reading to discover and empowering them to think bigger within the context of what’s possible in this day and age. As we get closer to the end I give very specific recommendations on tools, software to use and ways to set up a workflow. By the time you get to the end of the book my goals is that the reading has an expanded view of what’s possible in life and business and now has the tools, resources, next steps and action plans to make it real. My inspiration is the result of not knowing how to answer the question ‘what do you do’ because it changed frequently. It started as a shorter piece but as I was writing and got additional inspiration, I decided to expand it out and do a full book that’s a mix of how to and stories/strategies for success as well as some featured lifestyle entrepreneurs that also embody this ethos; to be able to travel freely and frequently, to live a life of passion and purpose. This was our very first interview for the EL. What did you think?